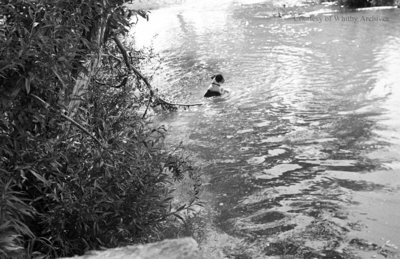 A black and white negative of a dog swimming in a river. The dog is close to the river bank. Dog Swimming in a River, c.1936, Marjorie Ruddy. Whitby Archives A2013_040_223A.